If you are an iPhone user and have already downloaded iOS7, you probably feel like you have a brand new device that you didn’t even have to step out and buy. Even though there are a few kicks and misses in the new UI, there are still a lot of things that you could come to love and appreciate about the iOS 7. Unlike previous versions of the iOS, you will notice a big change once the iOS 7 version boots on your device. You will notice that this particular version isn’t just different in its colors, but also in its feel as you swipe through apps and pages. Moreover, the newer iOS 7 now has a much cleaner and sleeker look which will make you fall in love with it over and over again. One glitch that was often a cause of inconvenience for a lot of Apple users was the lock screen, which was designed in a way that caused users to accidently hit the “Emergency” tab more than once a day. The new lock screen is beautifully designed and complication-free so you don’t have to worry about getting anything wrong. Even though Apple is not known for being particularly generous with wallpaper options, the iOS7 now features a range of different landscapes and backdrops that can be selected according to your own preferences. Moreover, if you are fortunate enough to own an iPhone 5C in the near future, you will be glad that the iOS has seven specifically tailored wallpapers that are specific to your mobile device. If you are tired of the clutter on your iPhone home screen, why not push a few of those apps into a folder and access them from there? This new iOS feature lets you put an unlimited number into any folder and even gives you the freedom to access them on multiple pages within the folder itself. Finally, even though Apple’s new Control Center might seem a little tricky at first, the truth is that the whole system makes life a lot easier just as soon as you get used to it. This control center now serves as a station for everything that you’d want to access quickly and effortlessly. From here, you can toggle between Airplane mode, Wi-Fi controls, brightness adjustment controls, and volume and playback for music. Simply swipe up from the bottom of the screen and you will be able to view the Control Center bar. The iOS 7 is yet to be explored and user reviews, both negative and positive are coming in, so be on the lookout for other great new features. 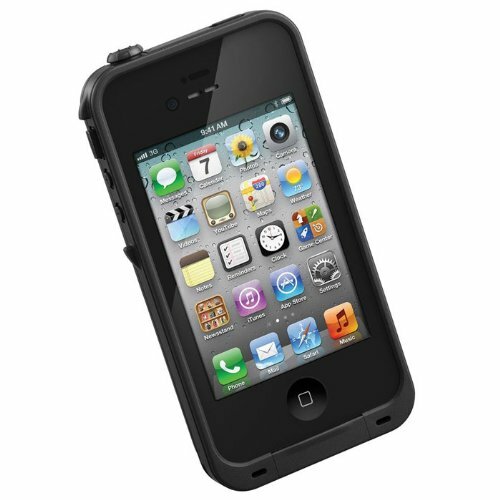 Protect your iphone from the elements with this lifeproof case. It will help keep the dust and water out. Check out YouTube to see it in action.